Our team provides a one stop shop for all thing’s fitness. 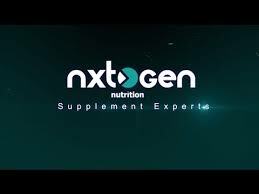 Supplement Experts – We have over 10 year’s experience with sports supplements. We know what works and what doesn’t and only provide the best for our customer’s. Diet Guidelines – We have two in house staff with over 150+ clients looking after general diets, bodybuilding and fitness show and everything in between. Personal Training – Need an extra kick, unsure of how and where to start your new exercise plan? We have your back, we have an array of qualified Personal Trainers that we can put you in contact with who demand results. At NXT-GEN we are interested in the big picture. Seeing you reach your goals based on our advise is what kick’s us along! So what are you waiting for? BECOME PART OF THE NXT-GEN.